Good morning. I am delighted to be here. I would like to acknowledge Tom Curley, who is just stepping down as Associated Press president and CEO after a lifetime of distinguished service in journalism. A warm thanks to Kathleen Carroll too. It is important for the IMF to maintain a good, open, dialogue with all members, especially the United States—our largest shareholder. You, the media, play an indispensible role in this engagement. I come this morning with a simple message: the global economy needs a strong U.S. economy and strong U.S. economic leadership. Time and again over the last century, we have seen that U.S. leadership has been indispensable—bringing people together around shared values and an abiding vision of human potential, and economic potential too. We saw this with the Marshall Plan after the Second World War. We saw it during and after the Cold War. And we saw it with the U.S. driving the global economy over the past half century. The result has been a more prosperous world. A more peaceful world. A better world. Today, we stand at yet another moment in history, where the United States, working closely with its partner nations, can help lead the world to a better future. These are trying times. The global economy is trying to emerge from the deepest and most painful economic crisis since the Great Depression. At the same time, the world is growing smaller and more interconnected by the day, meaning that economic disruption in one country can touch people all across the globe. First, where we stand in terms of the global economy. Second, why the United States, in particular, needs to be engaged. Third, why cooperation is so vital, and why I believe the IMF is especially valuable. Let me begin with the global economy. It’s fair to say that things are looking a bit better than they did even a few months ago. We can see some signs of thaw—welcome signs after the longest, hardest, winter in a generation. We see this in Europe, with some encouraging signs of financial stabilization. We see this here in the United States, with some encouraging signs of stronger growth and employment. But we should not delude ourselves into a false sense of security. The recovery is still very fragile. The financial system in Europe is still under heavy strain. Debt is still too high, public and private. Stubbornly high unemployment is straining the seams of society. Rising oil prices have the potential to do a lot of damage. What is crucial at this point is that policymakers use the breathing space to finish the job, and not lapse into complacency or insularity. Remember, we are here because of courageous policy actions, not blind luck. I’m thinking about the coordinated actions taken through the G20, in which the United States played a leading role. I’m thinking of the bold actions taken by major central banks to restore calm, including the Fed in this country and the ECB in Europe. So what should be done to keep things on course? I see three broad dimensions. First, it’s about stability. We must ensure financial calm. And here, I welcome the decision by the Europeans to strengthen their firewall, which should help stop contagion. And this should support a stronger global firewall, achieved in part by increasing the IMF’s resources. More generally, we also need a stronger and safer financial sector that puts societal interest ahead of its own financial gain. This means better, and more coordinated, regulation. We’ve already come some distance here. 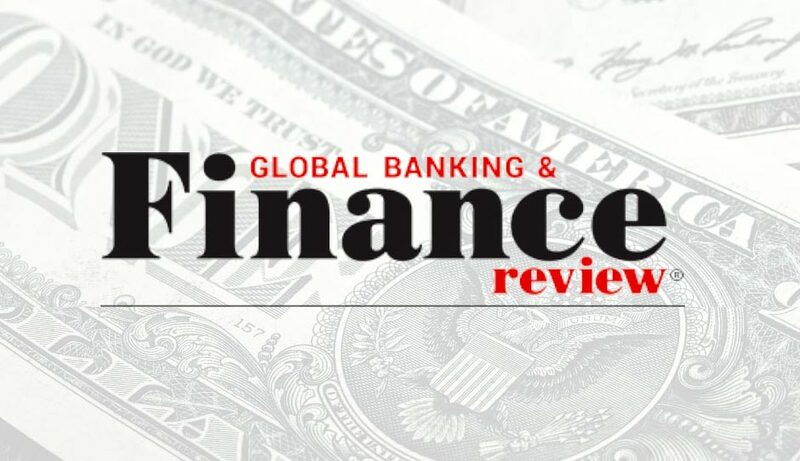 The nations of the world, including the United States, have joined forces to strengthen global regulatory standards for banks through the Basel III process. We now need effective implementation, in a coordinated manner, of what has been agreed and more agreement on the outstanding areas—including regulation of derivatives and the shadow banking system, and effective resolution of banks with cross border operations. Second, it’s about growth. In the short run, what matters most for growth is demand. But we should not ignore the supply side either, especially to keep growth strong and steady. Boosting growth means using monetary policy to support activity, especially with no real signs of inflation among the advanced economies. It also means using fiscal policy to support activity wherever possible. Yes, most countries need to bring down debt over time, and yes, some countries under pressure have no choice but to cut deficits today. But a global undifferentiated rush to austerity will prove self defeating. Countries like the United States with low costs of borrowing should not move too quickly. But let’s not be too complacent either—total U.S public debt already exceeds 100 percent of GDP. The country needs a stronger push to fix its public finances in the years ahead, including by curbing the growth of entitlement spending and raising more revenue. In the United States also, the recovery is being held back by the burden of household debt. Some of the statistics here are staggering—for example, about 1.5 million mortgages are seriously delinquent. More must be done to ease that burden. I’m thinking of actions to encourage mortgage writedowns and ease refinancing—and the U.S. administration has recently proposed new measures with those objectives. Aggressively implementing these measures can help avoid costly foreclosures, improve household finances, and boost consumption. Remember, banks were helped so they could lend more; homeowners should be helped so they can spend more. Third, it’s about jobs. Nothing enriches like gainful employment, so jobs must be a priority. This is a daunting challenge. Over 200 million people across the world today can’t find work. That includes nearly 13 million people right here in the United States. The plight of young jobseekers throughout the world is especially painful. Growth must also become more inclusive, so that everybody benefits from rising tides. This is important all over the world, not least in the hopeful yearnings associated with the Arab Spring. Americans might ask themselves: why should what happens in the rest of the world concern us? Don’t we have our own problems? The answer is simple: in today’s world, we cannot afford the luxury of staying in our own mental backyards. Think about it. When I was growing up, the world was a simpler place. Your livelihood depended pretty much on what was happening around you, in your own community, in your own country. No longer. Today, a densely-woven web of interconnections zigzags across the globe. Since 1980, the volume of world trade has increased fivefold. By the time of the crisis, global capital flows were more than triple the level of 1995. These connections are everywhere. As just one small example, think about how cars are made. A modern car needs up to 40,000 different parts, and the loss of a single part can bring the global supply chain to a standstill. So when a deadly earthquake in Japan knocked some parts out of commission, suburban American auto dealers started running out of cars. On a larger scale, it’s fair to say that the story of the global financial crisis is really the story of global interconnections. Perhaps more than any other country, the United States is intertwined in this global nexus, affecting—and being affected by—developments all across the world. This is mainly due to its dominant financial sector. Our analysis shows that foreign banks hold about $5½ trillion of U.S. assets, while American banks have $2½ trillion of foreign assets. These are big numbers, showing that banking illnesses can be easily transmitted across borders. As we have so painfully seen, illnesses that come from the financial sector can be especially virulent—with large, widespread, and immediate effects. The United States is also heavily integrated into the global trade network. It accounts for 11 percent of global trade. These connections are particularly strong with Europe. About a fifth of U.S. exports go to Europe. And while two-thirds of EU trade is internal to the union, exports to the United States account for almost a fifth of the remainder. Before the crisis, U.S. S&P500 companies were earning 20 percent of their profits in Europe. Five of the top ten overseas markets for U.S. investment are in Europe. European-owned companies in the United States employ about 3.5 million people. So if the European economy falters, the American recovery and American jobs would be in jeopardy. So America has a large stake in how Europe fares—and how the world fares. This brings me to a larger point—integration poses great risks, but it also promises great rewards. Heightened global cooperation is the key. History has shown us that when nations face common challenges in a spirit of solidarity, everybody wins. When nations pull apart in acrimony, going their own way and seeking their own advantage, everybody loses. As Ralph Waldo Emerson said, “The reason why the world lacks unity, and lies broken and in heaps, is because man is disunited with himself”. In the middle of the last century, two visionaries saw this clearly—an American named Harry Dexter White and Englishman called John Maynard Keynes. Having lived through the hardship and devastation of the first half of the century—when countries pulled apart and sometimes tore each other apart—they were determined to build a better world. I’m talking about the founders of the IMF. The idea behind the IMF was simple: if countries worked together in the common interest and helped each other in times of need, then everyone would prosper together. If this idea was important in 1944, it is equally important today. So what is the IMF? It is an economic club and a giant credit union, where the 187 member countries cooperate with one single mandate—global financial stability. We act as a conduit for countries to pool resources and provide a lifeline to members in need. The IMF has been in the trenches from the start, helping our members overcome all kinds of challenges, great and small. When the European nations clutched onto the Marshall Plan to climb back to economic health and vitality after a devastating war, we were there. When the newly independent countries in Africa and Asia sought to find their footing in the postwar years, full of hope and optimism, we were there. When Latin American countries struggled to break free from a morass of debt in the 1980s, we were there. When the Berlin Wall came crashing down, and new nations stepped over the rubble into a bright new world, trying to build institutions from the bottom up, we were there. And when the global economy almost collapsed three short years ago, we were there too. Today, the world needs the IMF more than ever. Why? We can provide a circle of protection against global turbulence, and help members adjust to changing circumstances with minimal disruption. But to do this effectively in today’s world, we need more resources. As I said earlier, now that the Europeans have moved first with their firewall, the time has come to increase our firepower. The ratio of Fund quotas to world GDP is significantly lower today than in the past. Sixty years ago, it was as much as 3-4 times higher. We’ve a lot of ground to make up. As you know better than me, there is a great tradition in rural America—a tradition of “barn raising”, whereby neighbors all band together to build barns. Barns were large, costly, and hard to build, but absolutely essential for farming. The lesson is simple: together, the community can accomplish what the individual cannot, and everybody benefits. We should think of pooling our global resources in precisely these terms. I must also point out that the IMF is a good investment for all our members, including the United States. Your money is not drawn upon until needed. Your money earns interest. Your money is used prudently—our programs always carry rigorous conditions to ensure their effectiveness. No member country has ever lost money by contributing to IMF resources—and I assure you that will not change on my watch. One last point: as the tectonic plates shift in the global economy—with dynamic emerging markets like Brazil, Russia, India, and China assuming an ever-greater role—these changes are also being reflected at the IMF. Our members have approved reforms to increase the quota share of these countries. Now countries must implement these reforms, and we are urging all to make progress by the time of our Annual Meetings later this year. Even with these reforms, the United States will retain its leadership role as our largest shareholder. Let me leave you with three thoughts. First, cooperation can deliver. Over the course of the 20th century, we saw what can be accomplished when the global community pulls together, especially when the United States takes a leading role. Now is another moment for U.S. economic leadership. Second, in a world riven by an infinity of interconnections, the ideal of cooperation is as urgent as when John F. Kennedy said, “Geography has made us neighbors, history has made us friends, economics has made us partners, and necessity has made us allies”. The time has come for the nations of the world to stand together again in the face of a major economic challenge, and with the U.S. as a lead partner. Third, the IMF was founded more than half a century ago for precisely this purpose. We are here to serve our members—including the United States of America. Support us. Use us. Work with us.